Movie to video game adaptations tend not to fare very well. Whether it’s because studios just expect anything with a popular movie title in it to sell well regardless of quality, or if its due to other factors such as budget or even consumers having overly high expectations, they simply tend to not be on par with other games. In 2009 the highly popular science fiction franchise, Star Trek, was rebooted in a glorious manner. Recasting the original characters and introducing an alternative timeline, the movie was a box office success and thrust Star Trek back into relevancy and popularity. Its success not only translated into a sequel which is in its production stages already, but has led to a video game adaptation to be set between the events of the first movie and the upcoming second movie. 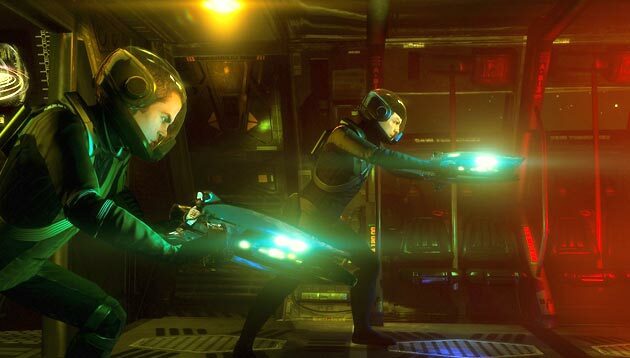 The game is set to be released on the Xbox 360 and Playstation 3 with the Wii U again missing out. Titled Star Trek, without a subtitle, the game allows co-op game play as either Captain James T. Kirk or First Officer Spock. Digital Extremes, also behind Bioshock 2 is developing the game with a supporting staff that consists of Marianne Kramczyk, Roberto Orci and Alex Kurtzman and even Bad Robot. By having these connections Digital Extremes have been granted access to documents used in the development of the first film, allowing the U.S.S. Enterprise to be modelled precisely from the film and for development of character models. From the details already released, the game starts off with Kirk and Spock off on another planet via shuttle craft. Upon their return to the Enterprise they find that the ship is in disorder and in lockout mode, with much of the crew missing. Using the famous tricorders, the two begin to gain access to parts of the ship and start piecing together the events that unfolded. Of course in Star Trek manner, they come across several dead red-shirted crewmen, which seem to have died from a strong toxin. A distress signal then comes from the shuttle bay, leading the two to begin making their way there. It is upon arriving there that Kirk and Spock come under attack. This is where the co-op elements of the game begin to get revealed. Kirk is equipped with a more powerful phaser that can unlock more modes as you gain experience throughout the game, including a vaporizing mode. Spock has a shield of sorts that is special to his Vulcan abilities which can recharge over time and provide him with more defence. Upon taking a hit, Kirk is inflicted with the deadly toxin, forcing Spock to drag him to safety and to sick bay. Depending on how you utilized the tricorder earlier, the faster you can identify the toxin and assist in healing Kirk, the more redshirts you scanned, the more information you have. All this happens while enemies continue to assault the two of you, forcing Kirk to fire while injured to provide cover for Spock. The original series was based heavily on the exploration of strange new worlds, but this game will be based heavily on action. Yes Pine’s adaptation of Kirk will still allow for a headstrong commander to lead throughout combat, and Quinto’s Spock will still be logical and calculating, but expect a Star Trek game unlike any before. 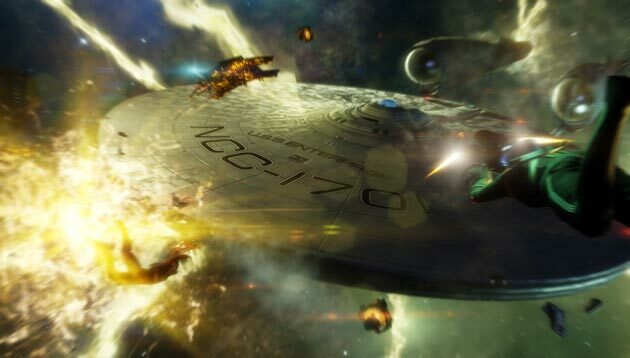 Star Trek is back and based on the demos that have been released and what’s been seen, this game will live up to the expectations and be a quality space adventure. 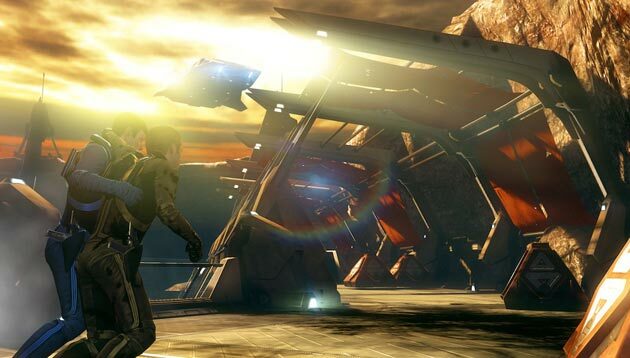 « Mass Effect 3: Sticking to its Action-RPG roots or cashing in on gimmicks? Sweet! I love the old Star Trek and absolutely loved the 2009 reboot. What better way to breathe life into the newly reborn universe than to explore it yourself? I’m definitely keeping my eye on this one.